Mattresses have softer comfort layers on top, along with firmer support layers below. The combination of comfort and support materials determine whether a mattress is right for your particular needs. When GoodBed talks about mattresses, we talk about BOTH the comfort and support materials. For example, a mattress we call "memory foam over pocketed coils" has memory foam as the main comfort layer or layers, and a pocketed innerspring unit as the support layer. If GoodBed calls a mattress "all foam" then both the comfort and support layers are made of foam. In stores, mattresses are usually named for their predominate material. So what a retailer calls a "memory foam mattress" will have some memory foam, but could also have layers of latex, or pocketed coils, or standard foam. And what a store calls a "latex mattress" could be made entirely of latex, but could also have layers of other materials. Your first step in shopping for a mattress will be to determine what mattress type (or types) are best for you—meaning what combination of comfort and support layers will fit your needs. Just as importantly, you'll determine which types you can rule out. Once you know the mattress type you are looking for, you can then find the brand and model that offer the best combination of quality and price. See our Spring Mattress Guide for more on the two main kinds of innerspring mattresses (Pocketed Coils and Connected Coils), and their respective pros and cons. 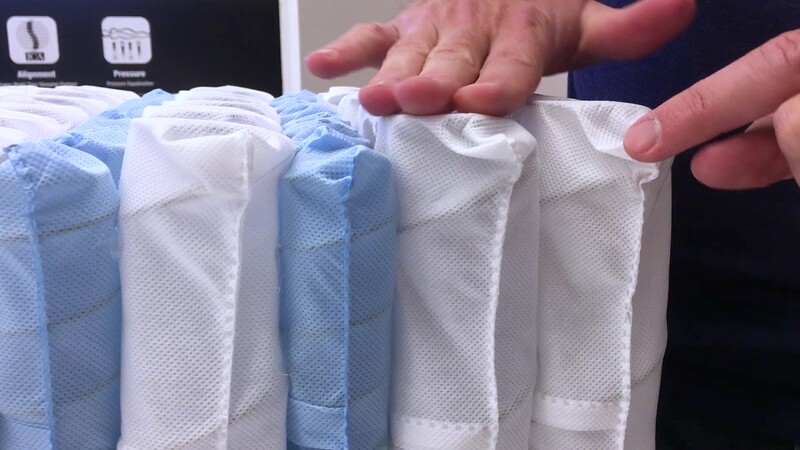 Below: Springs enclosed in fabric pockets, known as pocketed coils. This type of bed uses memory foam in the comfort layer, and most often uses polyurethane foam or springs as the support layer. Relative to other comfort layers, memory foam excels at pressure relief, and by extension for side sleepers. Memory foam can be "slow responding" and have a lot of that melting feel, or it can be quicker responding and have less. See our Memory Foam Mattress Guide for more information on the different types of memory foam and how to determine whether they are right for you. Examples of memory foam beds reviewed by GoodBed: Casper Mattress, Cocoon Mattress by Sealy , GhostBed Luxe, Leesa Mattress, Loom & Leaf Bed, Nectar Mattress. Also see our overview of the Tempur-pedic Adapt and ProAdapt mattresses. Latex can be found in mattresses as either a comfort layer or support layer, and sometimes both. Relative to memory foam, latex offers similar conforming ability, but is easier for changing sleep positions and sleeps less "hot." In addition, some latex (though not all) is made from the sap of a rubber tree, making it a more natural alternative than other mattress materials. Other latex is synthetic or a natural/synthetic blend. See our Latex Mattress Guide for more information on the different types of latex mattresses and how they may suit your needs. GoodBed has reviewed several of the most well known latex beds, including the Avocado Green mattress, the Nest Hybrid Latex bed, and the Zenhaven mattress, along with the Casper Wave bed and the Eight Mars+ mattress. Below: Latex layers are pierced with pin-core holes in vary softness and improve air flow. Polyurethane foam (also known as foam or poly foam) can be used in either the comfort layer or the support layer, or both. Most modern mattresses incorporate polyurethane foam in combination with other materials. 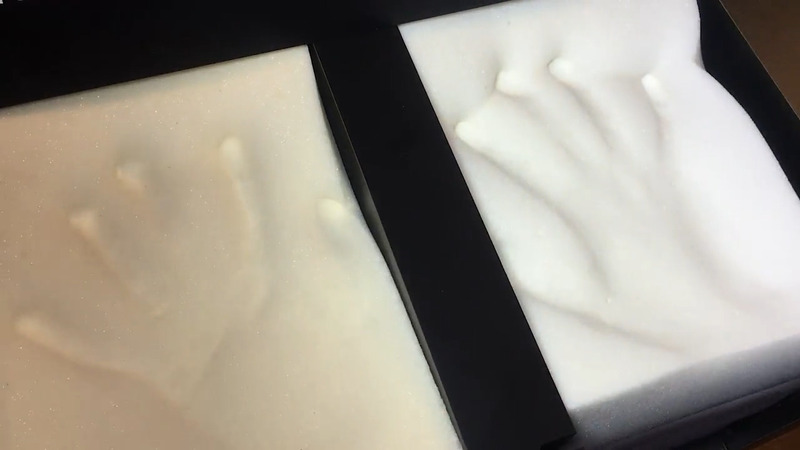 Mattresses made entirely of foam are often sold directly online, partly due to their ability to be compressed into a box that can be shipped via common carrier. See our Foam Mattress Guide for more information on the different types of foam mattresses. Some common all-foam mattresses reviewed by GoodBed include the Casper Essential, the Luxi Mattress, the Eve Mattress, the Nest Love & Sleep Mattress, and the 5 Little Monkeys Kid's Mattress. Gel can be used in two main ways in mattresses: Most commonly, it's incorporated into foam or memory foam as flecks or beads. But a couple of brands -- notably Purple -- use solid gel as the comfort layer of a mattress. In addition to the widely touted cooling properties of gel, certain types of gel can also provide unique pressure relief and spinal alignment benefits. See our reviews on the Purple and Purple 2/3/4 mattresses, which use solid gel in a honeycomb design (shown below). See our Gel Mattress Guide for more information on the different types of gel mattresses, and to determine whether they are right for you. Air mattresses look similar to innerspring mattresses but use air chambers as the support layer instead of coils. On top of the air support layer, many different types of comfort layers can be used, including memory foam, latex, or polyurethane foam. 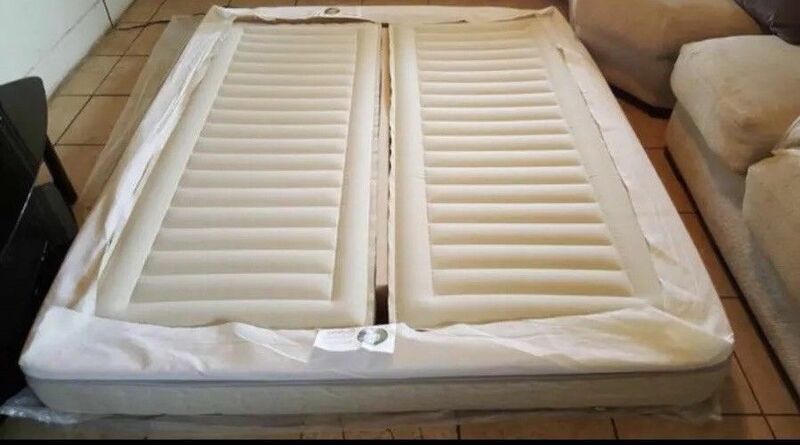 Air mattresses are known for the ability to adjust the softness level of the mattress very precisely, and often have separate controls for each side. These high-end air mattresses are not to be confused with portable air mattresses that are used for camping or as quick guest bed. See our Air Mattress Guide for more information on the different types of air mattresses, and what personal preferences would make them a good fit for you. Most mattresses are made from petroleum-based foams and synthetic fabrics. While a few 100% natural latex mattresses are available, we more commonly see natural materials like cotton and wool incorporated here and there in the comfort layers of a mattress. Many of these materials are naturally breathable, giving them unique comfort and cooling properties in addition to the peace of mind that comes from their lack of chemicals. Steel coils can also be considered environmentally friendly since they are a natural material and can be recycled. GoodBed has reviewed the Avocado Mattress and the Nest Hybrid Latex mattresses, both made of natural latex, organic cotton and steel coils. 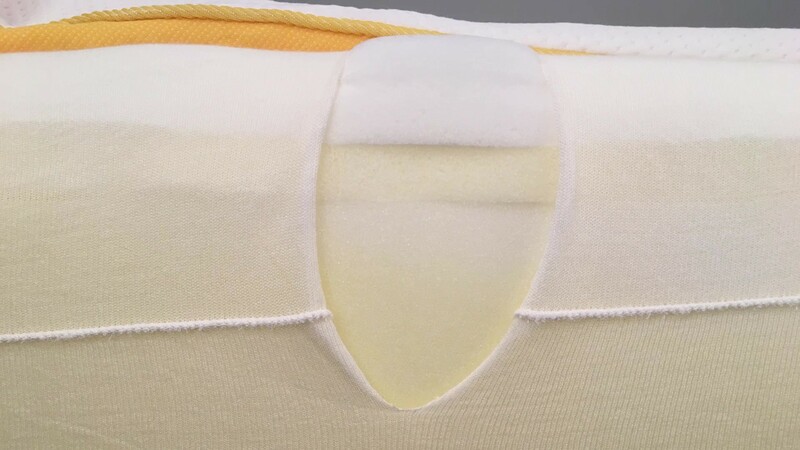 We have also reviewed the Zenhaven 100% natural latex mattress. See our Natural and Organic Mattress Guide for more information on the different types of natural materials used in mattresses, the various certifications that are available to mattress manufacturers, and help in deciding the best option for you. Though waterbeds have declined in popularity since their peak in the 1970's, they continue to improve and retain a core following. Waterbeds are distinguished by their use of liquid chambers for their support layer. There may or may not be an additional comfort layer of another material. Waterbeds are most often praised for their excellent pressure relief and temperature control. See our Waterbed Guide for more information on the different types of waterbeds and whether they are a good fit for you. Luxury mattresses are more about price and premium quality than on the use of a specific type of material. Luxury mattresses typically run up to $5,000, and are available in high-end versions of nearly every type of comfort and support layer. By contrast, ultra-luxury mattresses, which start at $5,000 and run upwards of $10-20,000, tend to be much more focused on the use of an innerspring support layer, and are much more likely to emphasize natural materials in their comfort layers, as well as hand-crafted construction. GoodBed has reviewed the Hastens 2000T ultra-luxury mattress, as well as the the Vispring Signatory Superb, both of which feature hand-craftsmanship, customization, and $30,000+ price tags. See our Luxury Mattress Guide for more information on the different types of luxury and ultra-luxury mattresses, and how to determine whether they are a worthwhile investment for you.